Special Events	(607) 967-3111	Learn More ! 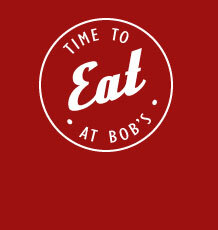 When my daughter turned 14, we chose Bob's as our party location for its unique ambiance and good food. The back room was perfect for our group of energetic teenagers and Bob's staff took care of all the special requests that the kids had. Thanks Bob's for making it a special day. Our Club meets every week in Bob's back room, and it is perfect for our various meetings and programs. The staff is so flexible, setting up the room just right for each week's meeting, accommodating our audio visual set-ups. We have done buffets, ordered individually off the menu and even held special lunches with decorations and extra guests. The Bob's staff is super accommodating to us, the room is bright and fun, and our group appreciates the wide variety of food. Bob’s spacious back room is perfect for business meetings, meals, or celebrations like showers, birthday parties, rehearsal dinners, and graduation parties. Bob’s offers customized menu options, table seating for up to 40, free wi-fi, presentation screen and plenty of adjacent, off-street parking. In an all american diner atmosphere. © 2019 Bob's Diner. All Rights Reserved.